The Junior footballers won their second round of the championship this evening after they beat Buffers Alley by 2-11 to 0-08. We started slowly but a goal from James Sweeney got us going and despite having a man sent off we went in at half time leading by 1-06 to 0-03. Things were looking nervous mid way through the second half as Buffers Alley pulled to within 2 points 1-07 to 0-08 but we finshed strongly and a late goal from John O Loughlin ensured we ran out 9 point winners. 1. Colin Hawkins 2. Liam Gahan 3. Chris Daly 4. Ger Daly 5. Niall O Reilly (0-01) 6. Brian O Loughlin 7. Brendan Carton 8. Shane Kehoe (0-01) 9. Stephan Murphy (0-02) 10. Sean Murphy (0-01) 11. Paddy Breen 12. Mick Sweeney (0-02)13. James Sweeney (1-01) 14. Damien Fenlon (0-01) 15. Bertie Gahan (0-02) Subs: David Breen for Brian O Loughlin, John O Loughlin (1-00) for Paddy Breen, Conall Nolan for Sean Murphy. Next draw on Tuesday 1st May 2012 at 9.30pm in GAA complex. All are welcome. Our Junior football team had a comfortable 3-13 to 2-09 win over St Josephs in the first round of the championship today. We were slow to start going 2 points to nil down but we made a great recovery scoring 3 goals in quick succession from James Sweeney and we finished out the half with further scores from Sean Murphy and Mick Sweeney to have a healthy half time lead of 3-05 to 1-03. We went further ahead in the second half with more well taken points and at one stage we lead by 3-12 to 1-04 before we let St Josephs make the scoreline look at little less painful from their point of view towards the end. Lets hope that those late concessions don’t affect us later on in the championship. The Annual Poker Classic takes place tonight in Monageer Hall at 9pm , all are welcome. Entry is €20, which includes Tea, Sandwiches, etc. The Junior ‘d’ hurling match between ourselves and Buffer’s Alley has been cancelled. The intermediate hurling team will play against Askamore on Saturday evening at 6.30pm, in monageer. 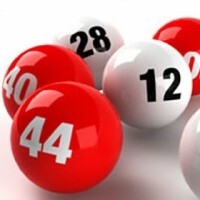 Next draw on Tuesday 17th April 2012 at 9.30pm in GAA complex. All are welcome. The intermediate team beat Rathnure in a practice match on Sunday by 1-18 to 1-13. Team was: 1. Sean Murphy 2. Brian O Loughlin 3. Tommy Breen 4. Liam Gahan 5. Dean Fenlon 6. Ger Daly 7. Damien Fenlon 8. Aidan Gahan 9. Niall O Reilly 10. Mark Walsh 11. Stephan Murphy 12. Matthew Dunne 13. James Sweeney 14. David Breen 15. Peter Mernagh Subs: Niall O Loughlin, Chris Daly.